EPW011249 ENGLAND (1924). 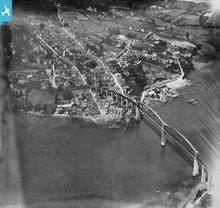 The Royal Albert Bridge over the River Tamar, Saltash, 1924. This image has been produced from a copy-negative affected by flare. 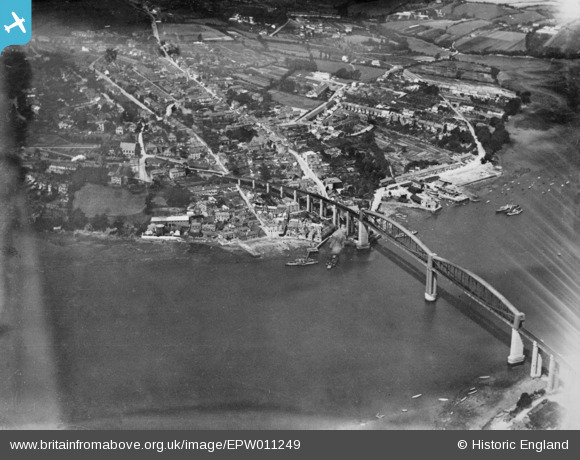 Title [EPW011249] The Royal Albert Bridge over the River Tamar, Saltash, 1924. This image has been produced from a copy-negative affected by flare. GWR experts - is this a 4 coach push pull train with the loco in the middle?